At least five CRPF personnel were injured on Thursday in a militant attack on a vehicle of security forces in Anantnag district of Jammu and Kashmir. SRINAGAR: At least five CRPF personnel were injured on Thursday in a militant attack on a vehicle of security forces in Anantnag district of Jammu and Kashmir. 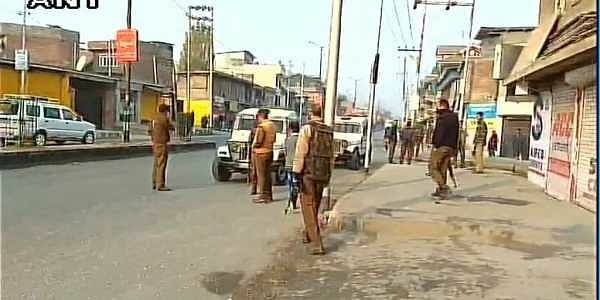 A police official said a group of militants fired from automatic weapons towards a CRPF convoy of six vehicles at Laizbal area of Anantnag at around 8.30 am. He said three CRPF jawans received bullet injuries while two others were injured after getting hit by broken glass panes of the vehicle. The injured personnel have been admitted to a hospital, he said, adding an operation has been launched to track down the assailants. Two militant outfits Lashkar-e-Toiba and Hizbul Mujahideen have claimed responsibility for the attack. Hizb’s operational spokesperson Burhanuddin claimed that the attack was jointly carried out by Hizb and LeT militants. He claimed that many CRPF men were killed or injured in the attack. Lashkar spokesman Abdullah Ghaznavi in an emailed statement claimed that four force personnel were killed and seven injured in the attack. In a separate incident, a BSF man was killed during Pakistani troops firing along the International Border (IB) in Samba sector of Jammu. A BSF official said Pakistani Rangers without any provocation fired on BSF patrol party along the IB near Mangu Chack Post in Samba sector of Jammu region at around 9.30 am. He said in the Pakistani troops firing, a BSF constable Tapan Mondal sustained critical injuries. “He was evacuated to military hospital Satwari, where he later succumbed to injuries,” the official said. Srinagar: A Bharatiya Janata Party (BJP) leader was found dead with throat slit in Kiloora area of south Kashmir’s Shopian district on Thursday. An official said that the body of Gowhar Ahmad Bhat, a resident of Bonagam Shopian was found on Thursday evening with throat slit. SP Shopian A S Dinkar told New Indian Express that they recovered body of BJP youth leader Gowhar Hussain Bhat from an orchard in Shopian at around 6.40 pm. He said the body was throat slit and there were cut marks on face and near ear. “We have registered a case and launched investigation,” Dinkar said. Asked whether the BJP youth leader was missing, he said there was no such report about him.